Paragliding included for first time in Nepal National Games - Integration Through Media ....! KATHMANDU: Fifty-five athletes will be competing in paragliding under the Eighth National Games scheduled at different places of state 5 from April 18. 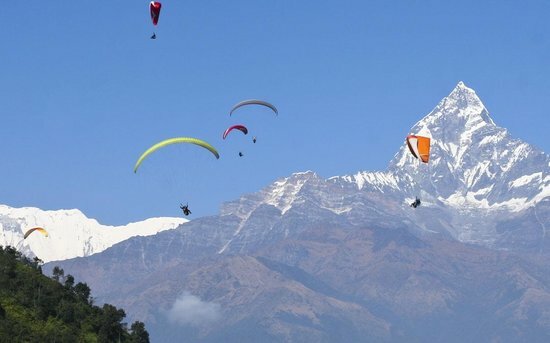 According to the National Sports Council, the paragliding competition would be organised at Pokhara from April 19 as there are no physical infrastructures in state 5 for the same. Paragliding has been included in the National Games for the first time in its history. General Secretary at the Nepal Paragliding and Hang Gliding Association, Shailendra Raut, said that Nepal Army and 46 men and nine women would compete for six gold medals.